Demure as it may look, the MIDI Skirt – that stops right below the knee or mid-calf – has a history of being a real troublemaker. The midi skirt was a popular length in the 1940s, a fashion decade known for its elegance and grace. By the '60s, the midi was out, replaced by the more revealing and progressive mini skirt, and women loved showing off their legs in this short style. The years passed by and there were still people outraged by the looks of the midi skirt, to the point that in 1970, John Burr Fairchild (Editor in chief of Women's Wear Daily and creator of the W Magazine) banned the minis from all of his offices and declared the ‘70s “the year of the MIDI”. His decision was neither an educated move nor a creative idea; it was simply a morally-driven idea. However, given his pivotal role into the fashion world (the Anna Wintour of our days), stores started stocking up on midis and invested big sums in marketing campaigns, with even Hollywood pushing the midis as “the next big thing”. This caused a huge uproar. Women did not want anybody, especially a man, define and dictate what they should or shouldn’t wear, and no matter how hard the fashion industry pushed, people were simply not buying them. By 1974, the Midi was officially branded a failure and we will not see it back into our stores till 2014 with designers bringing it back to a new life highlighting its ladylike attributes and flexible wearability with a range of fabrics and creative styling to suit just about anyone. 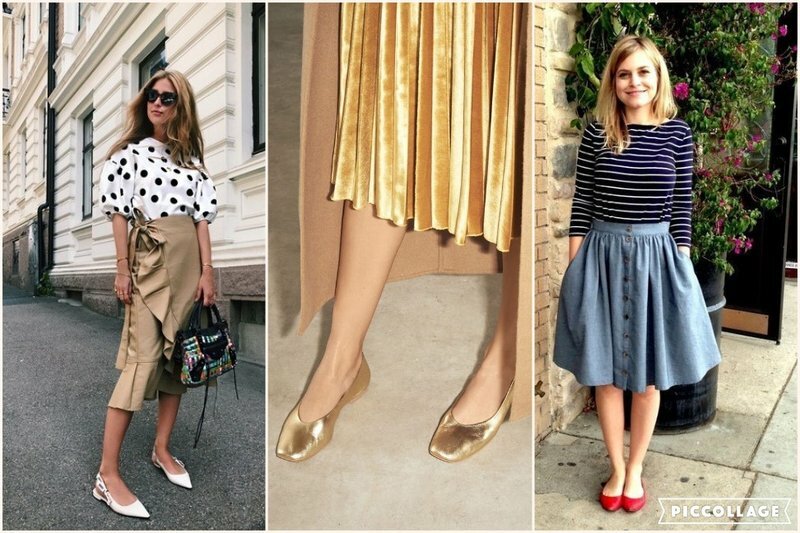 Since the very beginning the Midi skirt has always been associated with pumps and high heels, however, with its re-birth this is no longer the case as it can now be seen paired with flats, boots and even sneakers. If you are going for a Romantic look and enjoy playing the part of the eternal little girl, midi skirt and ballerina flats are the right combination for you. 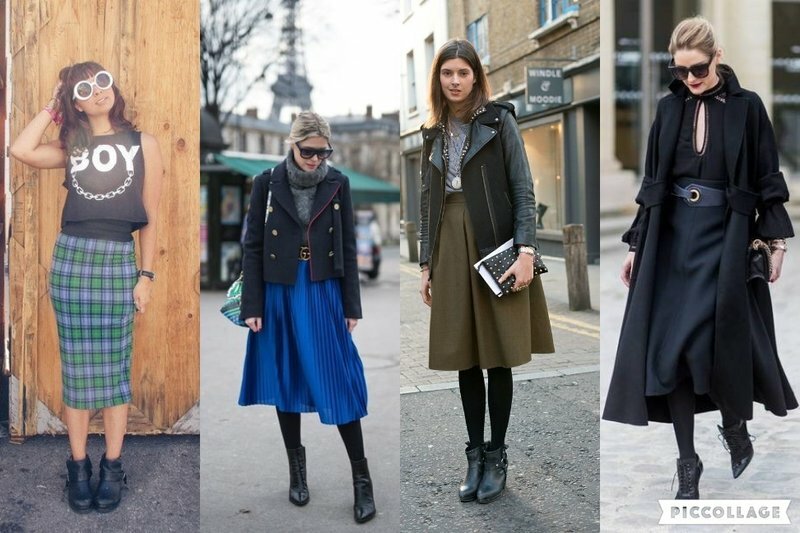 If you prefer an edgier look, then the combination of midi skirt and ankle or Chelsea boots is the right one for you. As we know, these types of shoes are not for everyone, just because they tend to cut the leg too short, however playing with the length of the skirt can still ensure great results. If you then prefer a style that is more “Rock and Roll” and less “Made in Chelsea” than the Biker boots are also a great alternative to pair with midi skirts. If you prefer a more refined and graceful look midi skirt and sandals are also a great combination, even during the colder season. I know what you are thinking … and NO!! I have not lost my mind. This is the best way to look stylish without freezing. A mix of elegance and comfort for the modern day woman who is always in a rush but still cares about her looks and wants to be stylish. 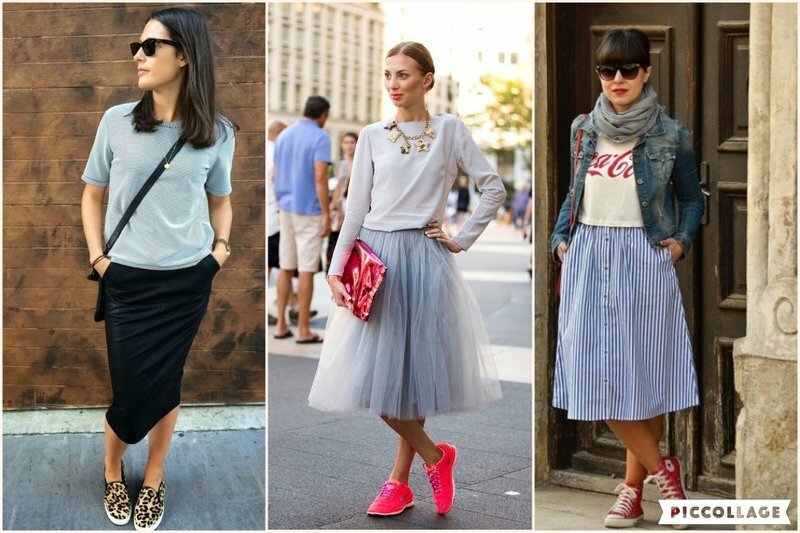 The Midi skirt is more adventurous than you thought, isn’t it? It certainly takes a lot of attitudes to rock a short skirt, but it takes just as much to really own a trend like this one, where the trick is to look fashionable while also covering up. 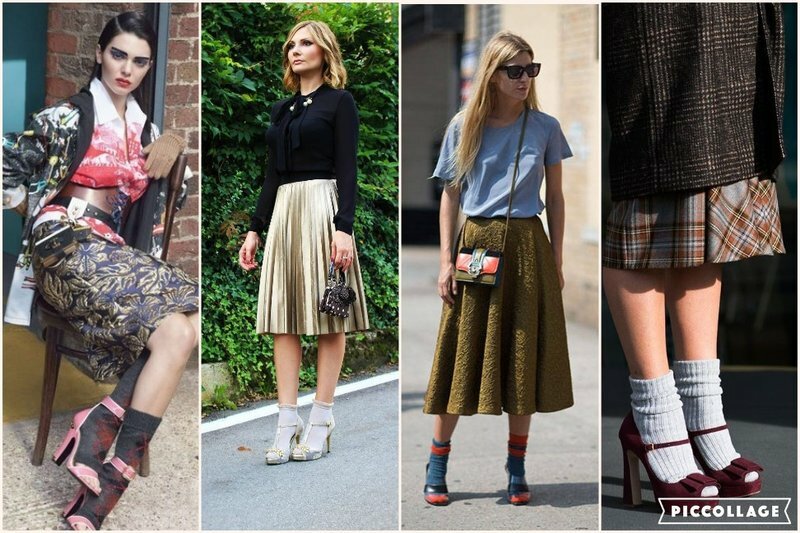 Do you already rock the midi skirt trend? Feel like you are stuck with the same old style and would like to challenge yourself with new trends? Want to know what the trends for the new season are?